Candia41, Rzym, Włochy : Rezerwuj teraz! Candia41 is a very nice guesthouse that offers Free Internet Access, Tea & Coffee Making Facilities and Hairdryers. 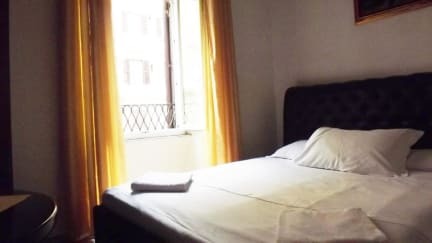 Candia41 is a Bed & Breakfast that offers modern accommodation in the Prati / Vatican City in Rome, just a 2-minute walk from the Vatican Museums and 900 meters from St. Pietro. The rooms are all equipped with free WiFi, TV, fan and the bathroom with hairdryer and toiletries can be private or shared.